Fri. April 26 (10:30 am - 12 pm) Hands on computer class. Creating Heirloom Embroidery Designs. Learn to use tools in BERNINA Embroidery Software to create touches of heirloom embroidery. 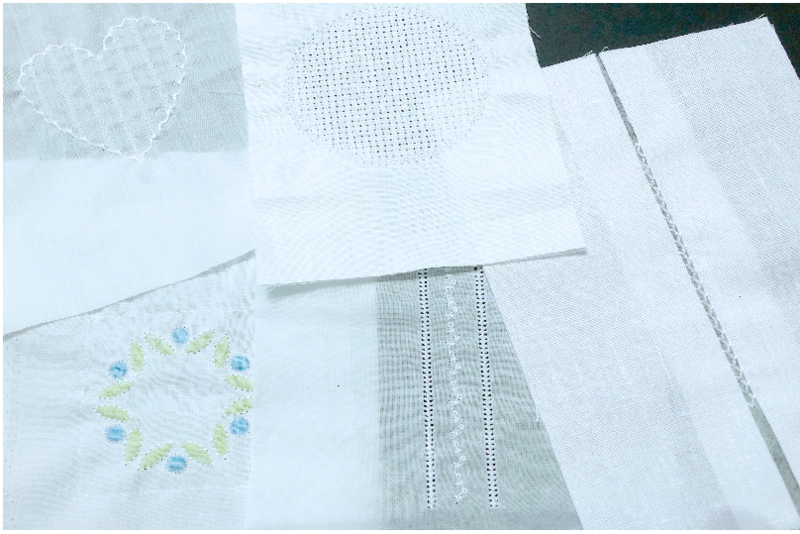 Learn how to embroider pintucks, wing needle embroidery, shadow embroidery, entredeux, and faggoting.